Komodo National Park closed - rumour, fake news or true story? Since January 2019 there have been several rumours – and news reports – that Komodo National Park will be closed to tourists. But right now – thats all there is to it. Rumours (or fake news). The most up-to-date news we have at Diveplanit, is the 22 February declaration from Vice President Mr. Jusuf Kala and the Director General of Nature Conservation and Ecosystems, Mr Wiratno, that Komodo National Park will not be closed. 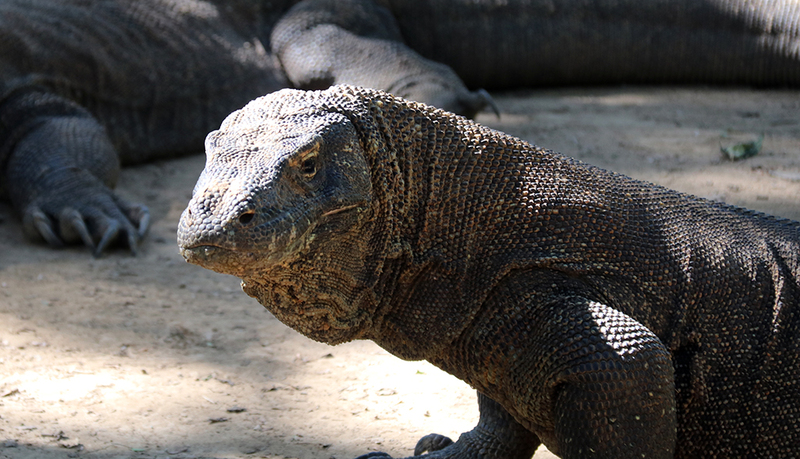 There are plans (yet to be approved) for a temporary closure – but these plans only apply to Komodo Island. According to East Nusa Tenggara (NTT) Tourism Agency head Marius Ardu Jelamu, a temporary closure aimed at habitat restoration, would only apply to Komodo Island, which is the largest island in the park that is recognised as a UNESCO World Heritage site. “We will close it temporarily in January 2020, but not entirely, only Komodo Island,” Marius said recently, as quoted by kompas.com. Marius said that both regional and central governments had been working on the restoration plans together, and a team of relevant stakeholders had been formed in order to make a joint assessment of the closure, with the results expected to be submitted to the Ministry by July 2019. By July 2019, the parties wishing the closure have to submit their reviews to government. The plan is to close ONLY Komodo Island and only to land visits. 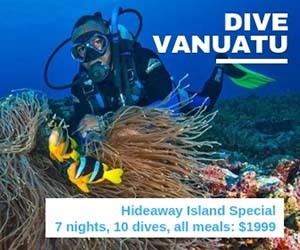 Diving and snorkelling will not be affected. No land visits will be affected apart from a shift from Komodo Island to Rinca Island for a dragon trek. The national park, which is located in West Manggarai regency, comprises three larger islands, Komodo, Padar and Rinca, as well as 26 smaller ones that overall span 219,322 hectares, according to UNESCO. Home to a population of about 5,700 giant lizards, its conservation is overseen by the Environment and Forestry Ministry. The national park is the only place in the world where people can see the endangered Komodo dragons in their natural habitat. The Komodo National Park and Marine Park is made up of many many islands. Most operators have told us they will move dragon walks to Rinca Island, the second largest island in the Komodo National Park. We’ve been in touch with several Komodo liveaboard operators, including Mermaid Liveaboards, Moana and Adelaar Cruises who have all confirmed the current status – and their plans in 2020 should Komodo Island close. 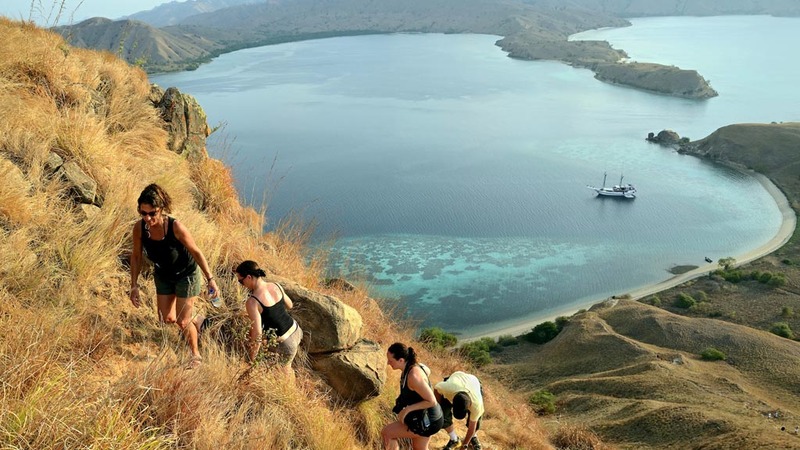 According to Mathilde at Adelaar Cruises; “In the event of the closure of Komodo island, we will shift our Komodo Dragon trekking tour to the ranger station located on Rinca Island. Located inside the Komodo National Park, Rinca is a smaller island, an even better place to spot animals in the wild – along with dragons, you may also see water buffalo, monkeys, wild deer and pigs on your way up to the top of the hill, where the view of the archipelago is simply stunning. At Diveplanit, we are acutely aware of the situation and are actively seeking information from Komodo operators and the Indonesian Ministry of Tourism. As soon as we have additional information, we will keep you posted. Meanwhile rest assured, your next liveaboard trip to Komodo will be as memorable as you would expect it to be!